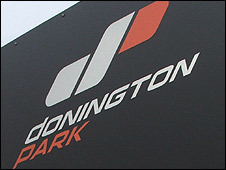 Administrators have failed to find a buyer for the lease on the Donington Park racetrack, it has been confirmed. The previous leaseholder Donington Ventures Leisure Limited went bust in November with debts of about £20m. Despite having interest from several parties, an agreement to take over the track and the 150-year lease could not be reached, administrators said. The lease will now go back to owners the Wheatcroft family to decide the future of the complex. Donington Ventures Leisure Limited had won a 17-year contract to host the Formula One British Grand Prix but failed to raise enough backing. Some work had already been done to convert the track but it was stopped part way through, meaning the course is currently not suitable for racing. Earlier in December it was confirmed Donington would not host the 2010 British Superbike Championship, which had been a regular at the circuit.